The Crowhurst Christian Healing Centre was opened in 1928 and stands on the edge of the village of Crowhurst in East Sussex. The house, The Old Rectory, built on a gentle hillside, has distant views of the sea and is set in beautiful countryside among trees and fields. The attractive and historic town of Battle is three miles away. Battle Abbey marks the place where Harold died at the battle of Hastings in 1066, a very significant event in English and European history. BY CAR: The Centre is approx. 4 miles from Battle. From London follow the A21 towards Hastings. At John`s Cross roundabout take the A2100 to Battle. Follow the A2100 through Battle and continue towards Hastings. Turn right at the sign for Crowhurst village (the entrance to Crowhurst Park Holiday Village is on the junction). Follow this lane for approx. 1.5 miles. 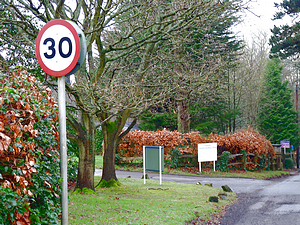 The entrance to the Centre is on the left, immediately after the 30mph sign. BY RAIL: Crowhurst Station is yards from the back entrance. Follow the signs on the footbridge. There is an hourly service from Charing Cross to Hastings. When arriving from London, climb onto the Bridge and turn right. The entrance to Crowhurst is 30 metres up the path. 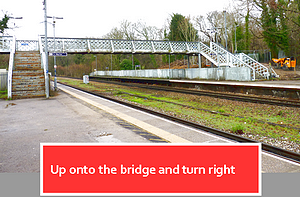 When arriving from Hastings, climb the bridge and cross the tracks. Continue straight up the path for 30metres to our entrance.